Gentle body wash embedded in the bathing glove for a no-water bath. PH friendly formula helps with care of fragile skin. 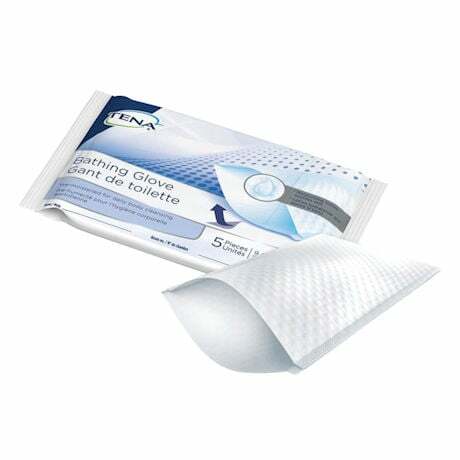 Double sided glove fits most hands, for a hygienic, quick wash. 25 total gloves (5 packs of 5) for easy travel. Each glove is 9" x 5 9/10".